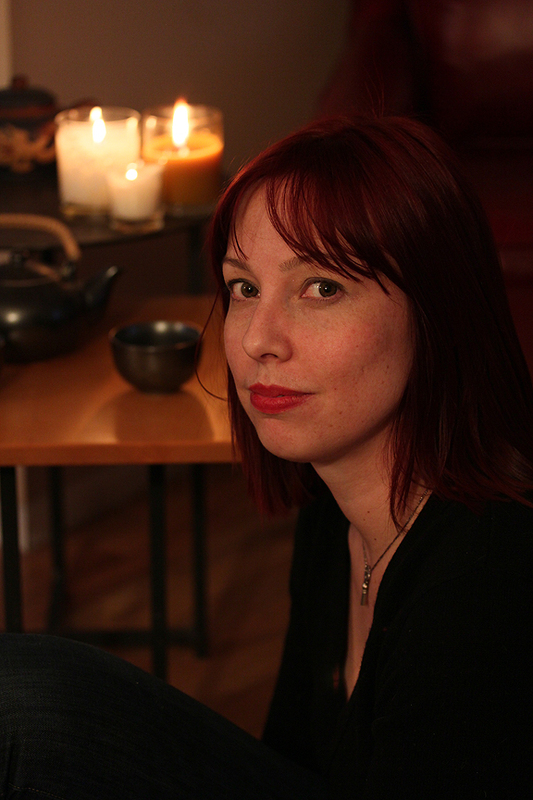 Continuing the New Writer Spotlight series, Underwords is pleased to present Kat Howard. With some impressive sales in her first year of publication, Howard is attracting quite a bit of attention. You can find her online at strangeink.blogspot.com and @KatWithSword on Twitter. Her first professional sale was in 2010, which places her in her first year of eligibility for the Campbell Award. What was your first piece of published fiction and where was it published? My first piece of published fiction was a short story, “A Life in Fictions,” and it was published in the anthology Stories, edited by Neil Gaiman and Al Sarrantonio. When did you find out that you sold the story? What was happening at the time? How did you react? I was on a panel for the anthology’s release this past summer, and Neil mentioned that he had no idea this was my first sale until he read the bios, because I had been so calm in my email. All I could think when I heard him say that was, “Thank God I wasn’t on video chat,” because I literally fell out of my chair when I read his email offering to buy the story. Then I called my Mom and burst into tears. I was ridiculously happy. What other stories have you sold since? “Beauty and Disappearance” was in issue #356 of Weird Tales. “The Speaking Bone” will appear in the March issue of Apex (that should go live for subscribers, Monday the 7th) and “Choose Your Own Adventure” will appear in April in Fantasy Magazine. How would you describe the type of fiction that you write? I’m pretty firmly on the fantastic end of things, and usually with some sort of dark or weird element in there. I like to use the possibilities of the strange in my writing. Do you have a mentor or another writer who helped to guide you through a difficult point within your writing career? I went to Clarion in 2008, and my instructors and my classmates have remained one of the biggest sources of advice and support in my writing career. There’s always been someone there who has known what to say when I’ve asked for help. It’s funny – the reason I sent Neil “A Life in Fictions” was because I had been stuck, both on the novel I was working on and on my dissertation, for a length of time that in retrospect wasn’t that bad, but at the time was making me wonder if I wasn’t irreparably broken. I sent him this panicked email, and he sent back advice that was pretty much: put everything in the drawer until it learns how to behave. And while my works in progress were on time out, I wrote “A Life in Fictions.” It also fixed whatever wasn’t working in my head. If by “learned” you mean “is something I try very hard to remember, because this one is hard for me,” I’d say I’ve learned that a draft is just a draft. Anything is revisable, but you have to get the draft zero stuff – no matter how crazy, or how bad – on paper before you get to the point of revision. Oh, wow. It’s hard to choose, because I feel there have been so many influences that it’s hard to pick specific ones. After I read Madeleine L’Engle’s A Switfly Tilting Planet in second grade I wrote so many unicorn stories. So. Many. Stephen King’s The Eyes of the Dragon was the first book that made me want to tell stories of my own. Jane Yolen’s works got me back into reading fantasy after those bad two years when I tried to be cool and read nothing but Sweet Valley High and Babysitter’s Club. Susan Cooper’s The Dark is Rising series began my fascination with Arthuriana, and Shakespeare taught me to play with language. The fairy tale collections Terri Windling and Ellen Datlow edited gave my heart a home. What do you do for a living beyond writing fiction? How do you fit “writing time” into your schedule? Right now, I am an ACLS New Faculty Fellow in the English Department at Stony Brook University. I teach classes in medieval and speculative literature, and I’m fortunate to be in a department that is enthusiastically supportive of my creative work. An academic schedule has a great deal of flexibility, and so is very friendly to the writing life, and my academic and creative interests overlap, which also makes things easier. But writing is a job, and I work every day. I am more an owl than a lark, so rather than getting up early to make wordcount, I don’t go to bed until my goals are met. When I was a kid, I told myself stories all the time. Some of them, I even wrote down. (So. Many. Unicorn. Stories.) I had problems sleeping, bad nightmares and things like that, and my Mom told me that when I couldn’t sleep, I should tell myself stories, and that would keep the nightmares away. It worked often enough that I kept doing it. I didn’t really think about writing as a career until fairly recently, the fall of 2007. A variety of events had conspired to turn my life inside out, and I read about Clarion, and I thought, you know what, I used to be good at this. I wonder if I still am? So I decided to apply, and in the process, realized I loved telling stories, that doing so made me feel like a whole person again. The application process made me a writer. Did you receive any writing related training or attend any workshops? If yes, how do you think they helped you? If no, are there any that you are considering? I attended Clarion at UCSD in 2008. It was the best thing I could have done for myself as a writer, because it taught me to take myself seriously. Which of your published stories would you most recommend to someone who hasn’t yet read your work? This is a tricky question, because I love them all. I guess “A Life in Fictions” because it’s the one where I didn’t have a secondary “I wonder if I could do x” floating around in my head when I wrote it. I just opened the notebook, and tried to tell a story. This entry was posted in Interviews, Writing and tagged Al Sarrantonio, arts, Eyes of the Dragon, fiction, Neil Gaiman, New Writer Spotlight, Stephen King, Stony Brook University, Terri Windling. Bookmark the permalink.